Are you sick of sapphire yet? The latest sign that Apple may be using a sapphire glass screen in its next smartphone comes from a new patent that illustrates the extra-resilient material being used on an iPhone. Its "Sapphire Windows" filing, discovered today by AppleInsider, details methods of growing, harvesting and polishing transparent sapphire wafers, then cutting them with advanced lasers. Apparently the hardness of sapphire is so great that high-powered lasers are required in place of conventional glass cutting tools that would otherwise wear far too quickly. That sounds like exciting news for clumsy iPhone owners everywhere, especially if you don't want to spend money replacing a shattered screen in the Apple Store. The company has had success using sapphire for the camera lens cover starting with the iPhone 5 and added the laser-cut crystal to the outermost layer of the iPhone 5S fingerprint sensor. 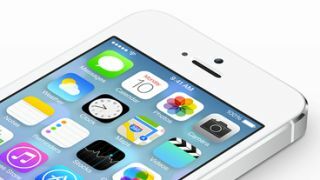 The text specifically calls out the "iPhone made by Apple, Inc." but it also goes on to suggest that the sapphire window shaping techniques could be implemented in other devices. The patent mentions obvious Apple product categories including tablets and computers, which suggests the next iPad and future MacBooks screens could withstand extra brute force with this material. It steers clear of mentioning wearables, but speculation has been focused on the unconfirmed Apple Watch ever since Apple confirmed its involvement in manufacturing sapphire crystal glass. Apple is said to be aggressively pushing to take its Arizona sapphire manufacturing facility live in February, according to a report by 9to5Mac, so we should find out what that glass is being used for soon enough.